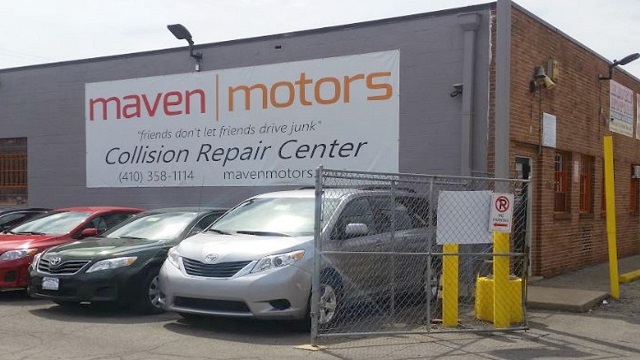 Here at Maven Motors we understand that getting your vehicle into an accident was not something you chose, nor something you planned for, which is why we strive to make the entire process of fixing and restoring your car as simple and easy as possible. We take great pride in providing the best collision repair Baltimore has to offer. Maven Motors is rated from the best auto body shops in Baltimore. We excel at frame straightening if the frame of your car sustains damage in a collision. We have a system that deploys expert frame measuring techniques to enable us to restore your car to the way it is supposed to be. We can repair any size dent your car may have, making your vehicle as good as new! We can match any color and paint all vehicle types and sizes including cars, trucks, and SUV’s. We are here to help in any way we can, use the form below or call us directly at 410.358.1114.